If your shop uses Lightspeed Retail POS, then you will be happy to know that you can integrate your Lightspeed account with Velodrop and take advantage of some extra features. To get started, navigate to the “Settings” page from the admin dashboard, scroll down the page to the Administration section and click on the button labelled “Integrations“. 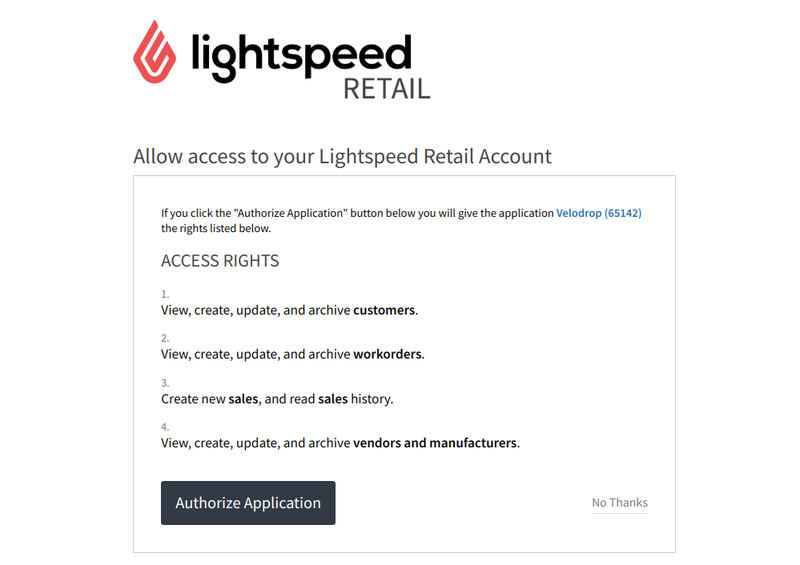 To connect your Lightspeed Retail Account to you Velodrop account, simply click the “Connect” button. Procede to login to your Lightspeed account. View, create, update, and archive customers. View, create, update, and archive workorders. Create new sales, and read sales history. View, create, update, and archive vendors and manufacturers. Click the “Authorize Application” button to grant access.